Panel Experts: Geoff Teall and Julie Winkel. I have a 10-year old Holsteiner hunter that I show in the 3’3 A/O. 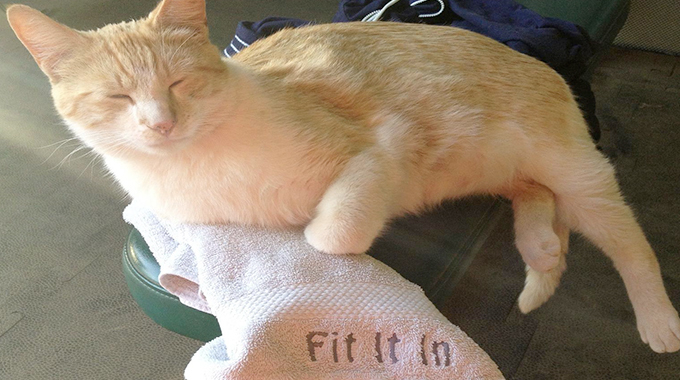 He is a very good jumper, nice mover and has an adequate step, but is a bit lazy and requires some leg. Although he is comfortable at the canter, his canter can feel “stabby” and up and down around the turn, more so to the left than the right. Are there some exercises I can do to open his step up around the turn and to get rid of the up and down motion? He has a very good and soft mouth, is very adjustable, nearly to a fault. Going on a straight line his canter feels fine, maybe not as long strided as I would like, but he is nearly 15’3 hands. I always start on these issues with the idea of soundness. My first step in this process if it were my horse would be to have a vet I trust take a look just to be sure there are no physical issues. Sometimes when you are not necessarily talking about real “soundness” issues, there can be something going on that might be responsible for what I call “performance” issues. The important piece here is that often performance issues can be a warning signal that soundness issues are around the corner. Always better to prevent rather than correct, and if you think something might be going on it probably is. Once you are satisfied that all the soundness issues are okay, then I would move on to some suppling exercises. Especially when a horse feels different in different directions, I go to the concept of bending the horse in both directions in both directions. I find this particularly useful when you are working on correcting and leveling the canter. When I want to work on the canter I always start my work in the walk first, as I feel that the walk and the canter are very similar, and that it is logical and easier to start at the walk. In the walk I would work my horse starting in one direction bent to the inside. When he is supple to that I would continue in the same direction, but change gradually to the outside bend. 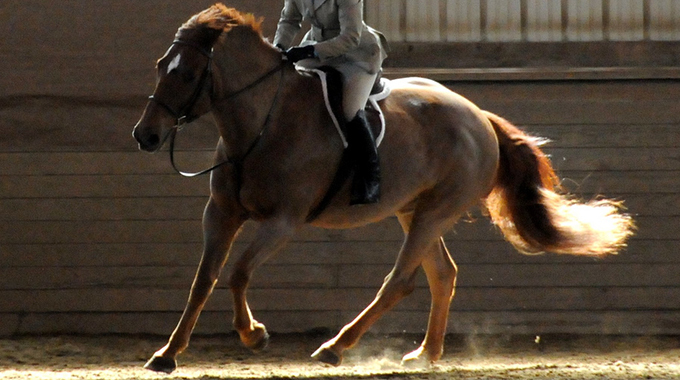 The bend does not have to be at all extreme, and it should be away from both the inside (or outside) leg and rein — not just the rein. When my horse is comfortable bending in both directions in the first direction in the walk, I would reverse direction and start first with the inside bend, and then change to the outside bend in the opposite direction. Once my horse is comfortable bending in both directions (inside and outside) in both directions (left and right), I would move on to the same exercise in the canter. I would again start with the inside, or correct, bend and when my horse is comfortable with that I would move on to the outside, or counter, bend. 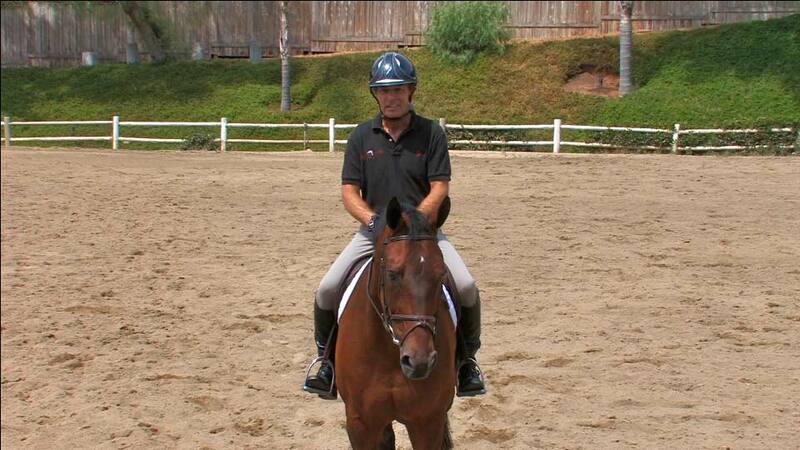 I would mix up both bends in both directions in the walk and in the canter with plenty of trot work. 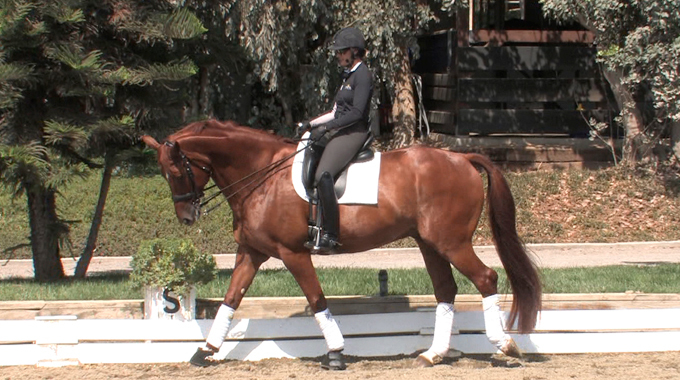 It is also helpful to work on both bends (correct and counter) in both directions (left and right) in the trot (both sitting and posting) as well. Obviously the point here is to get the horse as supple as possible in his neck and his body in all gaits in all directions. Any degree of suppleness you can attain will automatically help your horses gait, and in particular will help to level the canter. If your horse gets very proficient at all the exercises above, you can get your horse even more supple if you do the same exercises (correct and counter bend) in both directions in the counter canter. I find personally that if I can get my horse to bend in the counter direction on the counter lead comfortably and confidently, that at that point my horse is as supple and relaxed as possible. This not only helps the gaits, but in my opinion helps my horse be as physically strong, supple and sound as possible. 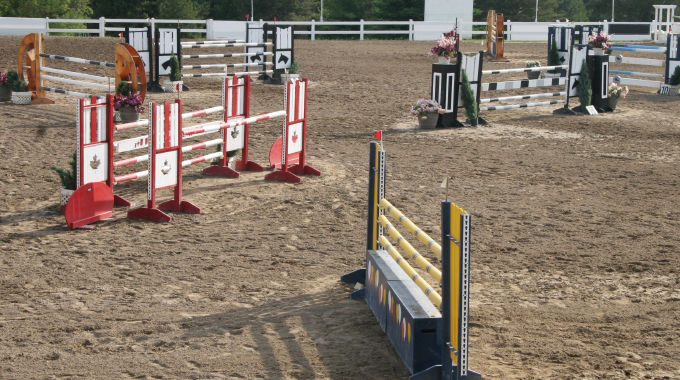 I hope this helps you to get your horses stride where you need it on the ends of the ring. My first concern about the ‘stabby’ turns is soundness. I think it is critical to rule out any issues by having a vet exam your horse, do flexions, x-rays, etc. Your problems might be physical and could be managed with different shoeing, anti-inflammatory products, etc. depending on what you find. Make sure your horse doesn’t have any underlying physical problems first, then try this exercise.